Though CBS hasn’t admitted it, it’s being assumed that Medium has indeed been cancelled. The venerable drama has been down in the ratings this season (though it often ranks first in the 18-49 demographic for the timeslot) and CBS cut the season order from 22 to just 13 installments. That’s never a good sign. Just ask the folks from Numb3rs when a similar thing happened to them last year. Over the weekend, Medium star Patricia Arquette was at an event and told EW that the show was indeed cancelled. What do you think? Is Arquette correct or will Medium beat cancellation once again and return for season eight? More about: Medium, Medium: canceled or renewed? Medium: CBS Airs the Last Episode; What Did You Think? Medium: Episode Order Cut; Next to Be Cancelled? CBS Orders More Episodes for 11 Shows; Will the Others be Cancelled? Medium: NBC Cancels Patricia Arquette Series, Still Hope for Season Six? NBC New Strategy, Renews Three Shows for 2008-09 Season. What About the Rest? 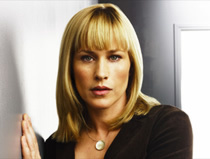 Medium: Did NBC Cancel the Patricia Arquette Series? I rarely make a point to watch any particular programs. I am very upset that the show has been cancelled. Why didn’t you change the time slot when you saw the ratings start to decline? Rocket Scientist’s? Sorry for the rude remark, but I really enjoyed the Storyline, the Writer’s, and the Cast!!! I thought of watching the medium from back east, but I forgot all about it when it was on and haven’t seen ONE Episode. This is one of my favorite shows – however, once the network starts to move a show to different days and different times, the ratings are sure to drop. The networks have nothing on worth watching anymore – except for “Dancing with the Stars” and a cpouple more, but I really love this show and meant to say so a long time ago – Shame on CBS for doing this.